After five years in fashion design, working as a top assistant for Paris Collections, Paula Doyle decided it was time for a change. It was time to get away from the “self-perpetuating importance” of an industry that was too much of a world unto itself. “If the world suddenly dissolved, would you really care what designer pants you were wearing?” she asks. Doyle and her boyfriend eloped. They got married in Las Vegas so they could join the Peace Corps and be stationed together, wherever they landed next. That turned out to be Papua New Guinea. It was definitely a change from New York City and Paris. But that’s where Doyle found her calling. A native of Kingston, Ontario, Canada, Doyle attended high school in Ogdensburg, New York, then went on to the State University of New York at Albany, where she graduated with a degree in philosophy. Her willingness to embrace new challenges, to abruptly switch course along a career path that has been “to the left and right, and up and down,” is why Doyle is now a University of Rochester surgeon, inventor, and chief medical officer of a startup company. How, exactly, did that happen? The tribes that Doyle and her husband worked with in the remote rain forests of Papua New Guinea were often in conflict. Doyle watched as relatively simple cuts from machetes festered and became infected. People would die of wounds that could have been easily treated in a hospital emergency room here. That’s when she decided to go to medical school. 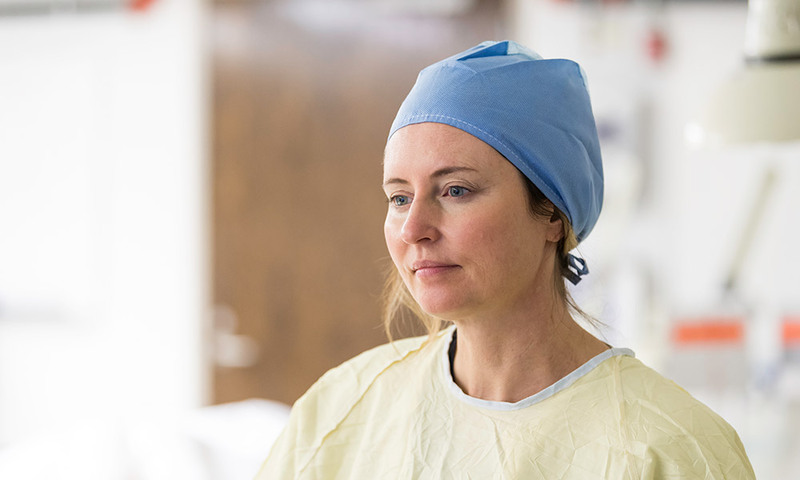 After completing her medical degree and residency at the University of Texas in Galveston, Doyle came to Rochester for a three-year fellowship in urogynecology, treating female urinary incontinence and pelvic floor dysfunction. Often, Doyle would find herself in the operating room, doing pelvic reconstructive surgery by robot. 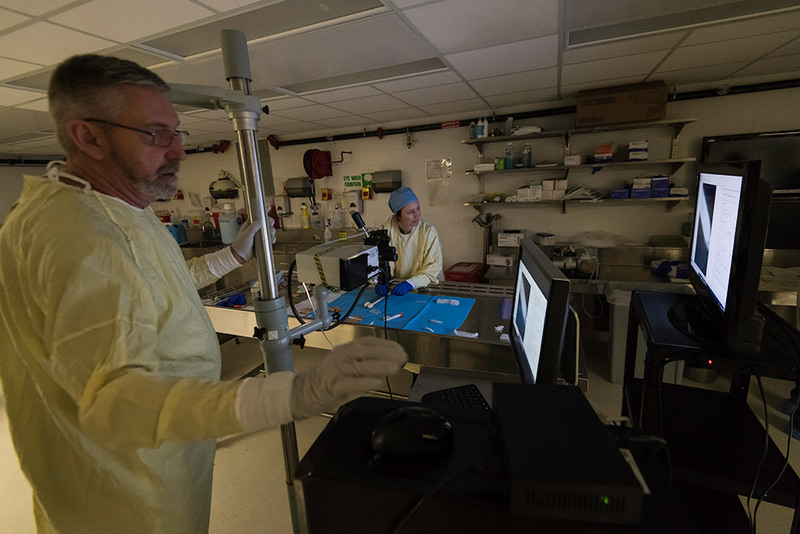 Imagine sitting across the room at a monitor that controls four robotic arms inserted through small incisions in the patient. “It’s like a video game,” Doyle says. “You can control the robot with your hands, and when you look at the screen the optics are really, really good – but you can’t actually feel what you’re operating on. During one surgery, Doyle needed to peel a bladder from the scar tissue it was sitting on. It took a long time to finally figure out where to start cutting. At a meeting of other fellows and their faculty mentors, she described how difficult the case had been, and commented, “I wish I had a flashlight or something I could insert so I could see better.” Ron Wood and Jay Reeder, both research professors in obstetrics and gynecology, seized upon the idea, and soon Wood, Reeder, and Doyle began “hashing out ideas” to turn her “complaint” into a viable prototype. At the same time Doyle completed her fellowship and joined the University as a surgeon and assistant professor, the problem she had identified in the operating room had resulted in a patented device called the GreenEgg. It is a small disposable device that uses a fluorescing polymer at the tip that can illuminate internal anatomy when near infrared light is also used during a surgery. “It’s easy to use, and it really adds value to the surgery in ways we didn’t even expect,” Doyle says. For example, GreenEgg provides backlighting that allows surgeons to see scarring and other pathologies deeper in the tissue than expected. With the support of her supervisors, Doyle is now working part time as an assistant professor, so she can devote more time to serving as chief medical officer of Endoglow, the startup she and Reeder co-founded. Once again, she has embraced a new challenge. If she had known all this in advance, would she still have done it? And there’s an added incentive.